I am not sure of which size dome or case to order for my display item. I have an item to display that you won’t fit into any of the cases you have available. Can you make a custom case or dome? Can I return a custom made glass or acrylic case or custom made item? What if I am not sure about what size display accessory I need? Can I place an order via Phone or Fax? What is the average time it takes to receive my order once I place it? Does FHD have a “bricks and mortar” retail store? Does FHD offer wholesale prices? Does FHD have a catalog? What methods of payment does FHD accept? I’m having trouble putting items in my shopping cart and checking out. I can get items into my shopping cart, but I can’t seem to checkout. I would like my order shipped to Alaska, Hawaii or a US Territory…is this possible? Can you process Overnight and Second Day orders? Does FHD ship to and P.O. Boxes? Will FHD sell or use my personal information in any way, other than to fill my order and offer me discounts on future orders? Does FHD ever offer coupons or discounts? I did not get my receipt, order status or special offer emails. What is happening? Where can I find my order #? What if UPS leaves a yellow note on my door? When I check my order status I notice that not all of the products I ordered have shipped at the same time, will I receive my whole order? I only received part of my order, where is the rest? Can I make a change to my order once I have placed it? Can I cancel my order once I have placed it? I placed an order and was notified later that an item I ordered was out of stock. Can you notify me when an item comes back into stock? I received my order and there is no invoice or packing slip in the box. I placed an order and did not receive an order detail receipt in my email box. I want my order by Christmas, How do I place my order? Can I return products I have ordered if they do not work? I received a gift from someone that came from your store. How can I return it? I returned my order but I haven’t received a credit yet. I received my order and one or more items were damaged or defective or missing parts. What can I do? My package was damaged in transit. What can I expect will happen to rectify the problem? 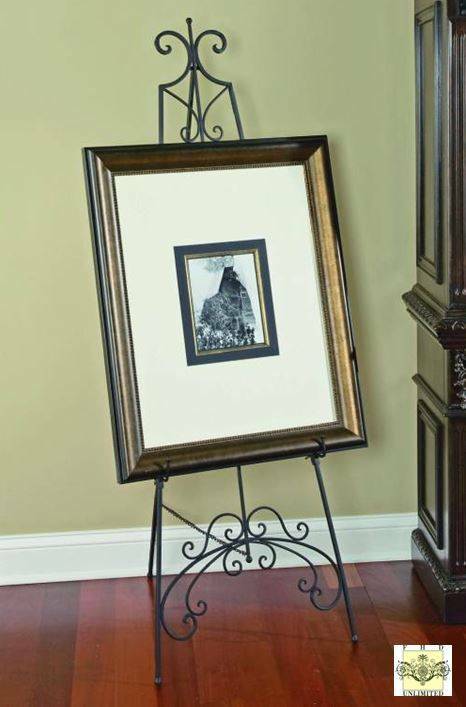 We recommend that you allow for at least 1" of clearance on all sides of your display item. For instance, if you have a sculpture that measures 6" L x 6" W x 10" H, you would need a dome or display case measuring at least 8" L x 8" W x 11" tall (one inch on the left, one inch on the right, and one inch above the item). If you need further guidance or if you would like a custom quote on a display case, you can contact us via our contact page. I have an item to display that you won't fit into any of the cases you have available. Can you make a custom case or dome? While we do not currently make custom domes, we do offer custom glass and acrylic display cases. If you are interested in a custom case, please contact us via our contact page and be sure to include the exact dimensions of the item you wish to display, and whether you would like a glass or acrylic case, and one of our representatives will send you a price quote. Keep in mind that custom cases and custom made items are not returnable, and take up to 4 weeks to ship out to you. Can I return a custom made glass or acrylic case or custom made items? Because custom made items are made specifically to your specifications at the time of order, we are unable to accept returns on them. Our customer service representatives are happy to assist you in ensuring that you order the size that will best suit your needs, depending on the item(s) you wish to display. Contact us via our contact page and be sure to include the exact dimensions of the item you wish to display. Most of the product descriptions on our website provide you with all of the information you need to select the right display accessory to suit your needs. If you need more assistance, our customer service representatives are trained to provide you the assistance you need to select the item that will best display your collectible. You can call our customer service department toll free, or contact us at for more help. Yes but online orders will process faster than phone and fax orders. If you are concerned about online security, we can assure you that we stringently adhere to PCI Compliance (the process that ensures companies follow proper security practices to ensure secure online transactions). We use companies such as Digicert, Trustwave and MeS to ensure your shopping experience with us is secure. If you have questions about our security, we will try our best to ease your concerns because we want you as a long term customer. Send us an email with your concerns via our Contact Us webpage. If you still want to phone in or fax your order, you can use the following information to proceed. Please keep in mind that while we post our toll free number, we are a small, family owned and operated business. We do not have the resources at this time to staff our phone line, so you will most likely be asked to leave a message. If you leave your name, phone number and a good time to reach you, as well as the issue you are calling about, we will return your call as quickly as possible. Thank you so much for your patience and for supporting small businesses. Please Note - We are a small family owned and operated business and you may have to leave a message. We will get back with you as soon as we can. To use the fax form, you must have a PDF reader installed. is free to download and install. While it can take 7 – 10 business days for orders processed with standard shipping to leave our warehouses, orders typically ship within a 3 – 5 business day period. The actual shipping times vary depending on the location of the recipient of the order. Once the order does ship, it is easy to track your package(s) on our order status page. Orders processed by express shipping are guaranteed to reach the recipient within 3 – 5 business days after the order is placed. When calculating shipping times, please keep in mind that weekends and holidays do not count as business days. Although we are actively trying to add this functionality to our system, at this time, we are not accepting orders for items that we do not currently have in stock. Does FHD have a “bricks and mortar" retail store? Our two stores, Fine Home Displays and Fine Home Designs, are available via the internet only. We do not currently have a retail store outlet. All of our products are available for you to view on line. In order to increase our efficiency and keep prices low, we do not currently have a print catalog of our products. We are an online store only. Our customer service representatives are happy to assist you with any of our products, if you wish. Feel free to contact us. FHD accepts most major credit cards (MasterCard, Visa, Discover, American Express), PayPal and Gift Certificates as payment. We can also accept checks and money orders if the customer calls us to place the order over the phone first. Our customer service representatives will take your check order over the phone and send you a receipt via email so that you have the exact amount of your payment, as well as address to send payment to. Once we receive your payment and process it, we will process your order for shipment. Most of the product descriptions on our website provide you with all of the information you need to select the right display accessory to suit your needs. If you need more assistance, our customer service representatives are trained to provide you the assistance you need to select the item that will best display your collectible. You can call our customer service department toll free, or contact us via email for more help. I'm having trouble putting items in my shopping cart and checking out. Our shopping cart - and all shopping carts - need to have cookies enabled because only with this option enabled during the process (add to cart, giving names, address etc) is it possible for the cart to remember each customer's settings. Many people disable cookies on their computer - a leftover from the times when everyone thought it would create problems for a computer to have cookies enabled. If you do not know how to enable the cookies on your computer, you can visit the site link below, which has instructions on how to do this. I can get items into my shopping cart, but I can't seem to checkout. Sometimes, our customers experience this problem when there is a firewall installed on their computer, or on the network their computer is on. If you know how to disable your firewall, you can do so before you place your order, and then re-enable it once you have completed your order. However, if you do not feel comfortable doing this or are unable to do this, we are happy to take your order by fax or phone. I would like my order shipped to Alaska, Hawaii, Canada or a US Territory…is this possible? FHD does ship orders to Alaska, Hawaii, Canada and the US Territories. **Please Note** Canadian Residents will be responsible for any brokerage fees and taxes upon delivery. If you need your order faster than the time that Express Shipping provides, please put a note in the "Additional Comments" area of the checkout page, telling us the day and time of day that you need your order. We can process your order for Overnight or Second Day shipment, but there will be an additional fee involved, which we will notify you of once we process your order. Please keep in mind that orders cannot typically ship the same day that you place your order. For example, if a customer places an Overnight order on Monday, the order will ship on Tuesday, and arrive on Wednesday. Does FHD ship to P.O. Boxes? At this time, due to the delivery issues involved, we do not provide shipping to P.O. Boxes. We ask that you provide a physical street address for shipping purposes. You can choose to use MyUS.com for shipping to international addresses. MyUS.com is an international package consolidation company that will provide you with a U.S. shipping address for your FineHomeDisplays.com order. Fine Home Displays ships your order to your MyUS.com address, and MyUS.com verifies your order and ships it to your international destination. Use MyUS.com's Personal Shopper service to make a purchase from FineHomeDisplays.com. MyUS.com accepts cards with international billing addresses as well as those issued by non-U.S. financial institutions. We do not currently ship to international destinations directly; however, we do ship to all APO/FPO addresses. To place an order at FineHomeDisplays.com, your billing address must be within the U.S. This includes Alaska, Hawaii and military (APO/FPO) addresses. Sales tax is charged on all orders that have a shipping destination in the State of Ohio. If you are a non-profit organization with a shipping address in Ohio, please put a note that includes your Federal Tax ID number in the additional comments area at the time of checkout. We will then issue you a credit in the amount of the sales tax that our shopping cart calculates, and email you a new receipt with an accurate order total. Under no circumstances will FHD ever release any of your personal information for use by any entity other than ourselves. Fine Home Displays often runs specials for our customers. Please check the upper right corner of our website for any available coupon codes. We also frequently run specials for our Facebook followers, readers of our blog, Display Days, and on our Pinterest boards. To be sure you stay up to date on all coupons available, "like" Fine Home Displays on Facebook, follow our Pinterest boards, and follow our blog Display Days. Fine Home Displays, Blog "Display Days"
Fine Home Displays, Pinterest Boards"
In a word, SPAM or Junk . Internet Service Providers and Email Providers try their best to eliminate SPAM. Sometimes their efforts are too stringent and stop legitimate email that you request. Some of these companies publicly acknowledge that their efforts may cause requested emails to fail to get to you. They provide us with a response email that states our emails have been blocked and the reasons why. Most times we are able to resolve the issue by working with that company and you should start seeing our emails again in 24-48 hours. If you continue to not see communication via email from us, please let us know via the contact us page. There are a few known exceptions to the above. We are listing by email provider so you can determine if you fall in one of these special circumstances. Your provider requires that you consent to receive our emails. You can do this manually or respond to an automated email from your email provider. To ensure you get all your email in a timely manner, you need to add "orders@finehomedisplays.com" to your contact list. If you don t manually add our email to your contact list, your provider will ask us to complete a form requesting permission to send you emails. They will in-turn send you an email with the form request asking for your approval. You will need to review and approve this email in order to receive our emails. At this time, we are having issues getting our emails to AOL customers. We have spent numerous man hours trying to contact and resolve email issues with your mail provider without success. Their customer service model is geared toward paying AOL customers and not companies providing AOL customers their services. This makes it nearly impossible for us to ensure you get the emails you request from us. Although we will continue to try and resolve this issue to the best of our ability, we could use your assistance. As a paying AOL customer, you have more leverage with AOL to ensure you get our emails. Below we have tried to provide you the most accurate information we could find for contacting AOL to try and resolve this issue from your end. If you have problems using any of these links or information, please let us know. You can also find your order number on the receipt we sent you via email. It will be located in the email body and look very similar to the web receipt we showed you above. Then, type in your Order # number, located in your order detail receipt (this will be a 4 to 6 digit number) and your email address. You will now be logged in to your order, where you can see your order status, and track your package once it ships. This is a delivery attempt notification or InfoNotice. UPS will try to deliver a package one time per business day for up to three days. Each time they will leave a note and tell you how many attempts they have made thus far. After the third delivery attempt, UPS will return the merchandise to the sender. Why is UPS not leaving the package at my door? There are multiple reasons for this and some or all could apply to your circumstance. A shipper has sent the package requiring a signature. Note: We do not send packages requiring a signature unless the customer requests it. If you get an InfoNotice, you must call the number provided on the note and arrange for delivery. In most cases, UPS will let you sign the yellow note and have you leave it on the door. By doing this, you are authorizing UPS to leave the package at your door or where you designate on the note. In so doing, you are taking responsibility for the package if lost or stolen after delivery. If you are not comfortable with this or UPS requires you to pick-up the package, UPS will instruct you on where and when you can pick-up the package. It is usually at the UPS Customer Counter after 5:00pm that day and available for pickup during the counter s open hours any day after that for up to five (5) days. Failure to pickup within the five days will result in the merchandise being returned to the sender. UPS may offer to deliver the package to a different address. Please note that this service has an additional fee and that you are responsible to pay this fee if you decide to use the service. Please note that we have no control over UPS procedures and policies. It is your responsibility as the receiver to follow-up on the InfoNotice. Failure to respond to the note and the subsequent return of merchandise to the sender is beyond our control. For more information from UPS on InfoNotices, you can read more here. If merchandise is returned to sender and you wish to have the package resent to the same or different address, you will need to pay for the new shipping and handling charges. If you decide to cancel the order, you will be refunded the cost of the package minus any shipping and handling charges. When I check my order status I notice that not all of the products I ordered have shipped at the same time, will I receive my whole order? OR I only received part of my order, where is the rest? FHD maintains warehouse locations around the country. Often times, your order will be shipping from 2 or more locations. If you check your order status and see that not all of the products have tracking numbers next to them, it means that those items are shipping from another locations. They will most likely ship within the next day or so. Due to the built in efficiencies in our ordering system, once your order has been placed, and you have received your electronic confirmation email, we cannot make changes to the product you have ordered, nor can we cancel your order, as it has already been processed to our warehouses. If you need to return the product, please follow the return procedures above. If additional items are needed, you can easily place another order with us. As with order changes and the built in efficiencies in our ordering system, once your order has been placed, and you have received your electronic confirmation email, we cannot make changes to the product you have ordered, nor can we cancel your order, as it has already been processed to our warehouses. If you need to return the product, please follow the return procedures above. If additional items are needed, you can easily place another order with us. Occasionally, we experience a delay in the updating of our computer system with regard to inventory levels so that items appear to be in stock when they actually are not. If the backorder will result in only a short delay, we will inform you and keep your order open, shipping the item when it becomes available. If the backorder will be for more than several weeks, we will cancel this part of your order, and issue you a full credit. While we are unable to do this at present, we are working on some technology to be able to provide this service to our customers. In the meantime, we ask that you keep checking back on our site, as we receive shipments of product weekly. We do not include any packing slip or invoice in our packages. All invoices and receipts are sent via email. Be sure to print out your order detail receipt and the order confirmation receipt that you receive via email so that you can compare your order contents once you receive it. If you haven't received an order detail receipt, email us via our contact page and be sure to include the name the order was placed under and the Order # if you know it, and we can resend it to you. At FHD we want you to be happy with the products you have ordered, and therefore gladly accept returns. If you would like to return all or part of your order, please go through our contact page and be sure to include the name the order was placed under, the Order #, and which items you wish to return. We will then send you an email with instructions on how to send us your return, along with a return authorization form and Return Authorization (RA) number that you can print to include with your return. You may receive more than one Return Authorization email if you are returning more than one item, and if the items came from different warehouse locations. This document will include a packing slip and address label for shipping. Once you ship your package via the carrier of your choice back to the appropriate location at your cost, you must email us with your tracking information so that we can be on the lookout for your return, and issue your credit promptly. When we receive and process your returned product(s), we will issue you a credit for the full purchase price of your item(s). Please see our complete Return Policy for more information. If you would like to return a gift that you received, please contact us via our contact page and be sure to include the name the order was placed under, the Order #, and which items you wish to return. We will then send you an email with instructions on how to send us your return, along with an email form that you can print. This document will include a packing slip and address label for shipping. Once you ship your package back to the appropriate location, you must email us with your tracking information so that we can be on the lookout for your return. Once we receive and process your item(s), we have a couple of options in terms of issuing you a credit. First, we can simply issue a credit to the account of the person who gave you the gift. However, if you wish to receive the credit yourself, we can send you a coupon code which will provide you with a store credit in the amount of the purchase price of the item(s) you returned. This store credit will be valid for purchases made at the original store your gift was from, for one year from the date the credit is issued. Please see our complete Return Policy for more information. I returned my order but I haven't received a credit yet. If you returned your order without notifying us first, your refund can be significantly delayed. We ask that all customers include the paperwork that we email you and notify us when they have shipped their return package so that we can track the package and issue a prompt credit. Typically, it takes several weeks to process your return fully and issue a credit to your account. Please see our complete Return Policy for more information. Our shipping staff makes every attempt to do a quality assurance check on all products to be shipped and to pack your items securely for shipment. However, sometimes, even under these circumstances, a defective or damaged item may arrive at your doorstep. If this is the case, please contact us via our contact page, and be sure to include the name the order was placed under, the Order #, and which item(s) is/are damaged/defective. It would also assist us if you could let us know the condition of the box upon arrival, and how the item was packed. We will happily send you a replacement and provide you with instructions on what to do with the damaged item. For orders within the United States, we will ship you a replacement item at no cost to you. For orders to Canada, we will ship you a new product but we are not able to pay the Canadian brokerage fees on the replacement shipment. Those fees are not covered by the Shipper s claim process and must be paid on receipt of the package. You will need to place your order with Express shipping on or before December 17th to guarantee delivery by December 24th. We can no longer guarantee delivery of custom made items by Christmas. If you need overnight or 2nd day delivery, please make a note in the comments section with your request. We will do our best to accomodate all requests. Please note that your account will be charged the express shipping fees that you have requested.